Practicing gratitude and optimism has a wide range of benefits. Those who feel grateful tend to experience less depression, better relationships, and improved resilience to stress, struggle, and trauma. Grateful people are happier people. Gratitude has a ripple effect; projecting a positive view of life and work encourages others to follow suit. The attitude that massage therapists project has a powerful impact on those they serve. From the moment a client arrives, throughout the session, and even after they walk out the door, the therapist’s attitude colors the interaction and client satisfaction. Visualize success. Start each day with the belief that things will turn out well. Keep a gratitude journal. Each day, list three things for which you’re grateful. 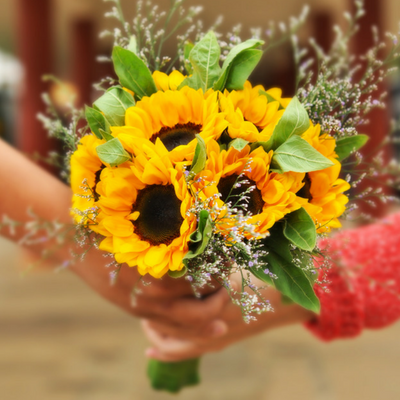 Express thankfulness to those around you with a sincere smile and warm greeting. Surround yourself with compassion and try to minimize contact with people who carry a cloud of negativity over them. Pay it forward. 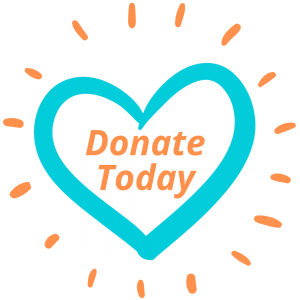 Support the well-being of others, our profession, and the Massage Therapy Foundation. These small and simple steps can produce enormous effects. As a massage professional, you stand in a powerful position to influence the attitudes and happiness of others. Performance Health’s purpose statement is also simple — feel good, perform better, and live great. 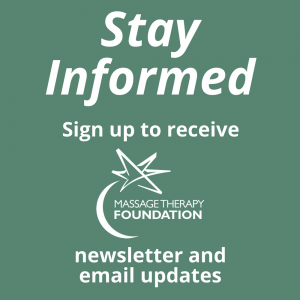 We are happy to show our gratitude for the work that the Massage Therapy Foundation has done to advance the massage therapy profession. We have been proud to contribute to this work, though donations, promotions and sponsorship of many wonderful special events over the years. Performance Health understands what it takes to complete a monumental achievement like the Boston Marathon and we are very proud to have been the honored sponsor of the 2018 Team MTF—Running for Research. Congratulations, again, to runners Lindsay, Desiree, Shadonne and Teresa. Thank you for your efforts in raising funds to help MTF continue their great work. We’re honored to continue our support as the Grand Slam Host Sponsor (co-hosting with Massage Warehouse) of MTF’s Take Me Out to the Ballgame fundraising event at the AMTA National Convention in Washington D.C. We encourage all who can make it to come to Nationals Park on Wednesday August 8th for a night of fun and networking while watching the Washington Nationals play the Atlanta Braves. Purchase tickets here: https://mtf.networkforgood.com/events/5886-take-me-out-to-the-ballgame-2018. We hope to see you there!